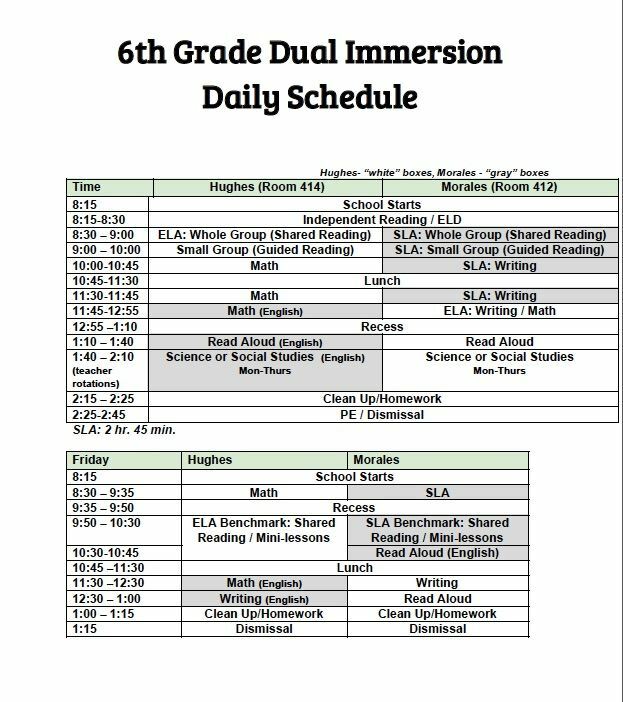 Our 6th Grade Schedule emphasizes language arts throughout all subject areas. Students are responsible for keeping up with any changes to the schedule through the online accounts established in our classroom or hard copy planner. Our classroom is teaming with Mr. Morales’ 6th Dual Immersion class. Students will switch for 50% of the day with Mr. Morales to receive ELA content. If parents need clarification about how this program works, feel free to contact me or post a question on the blog.